Stocking Stuffer Saturday will take place on Saturday, December 8 at the Shops at Carmel City Center! Stock up and save with the perfect gift items for everyone on your list. Participating businesses will also have tasty treats for your sampling while you shop. Stop in, snack and stock up! Warm up with some apple cider while you shop! 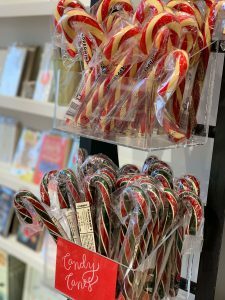 Addendum: Enj oy a sampling of Captain Rodney’s Boucan Pepper Glaze and Louis Sherry chocolates while you shop a variety of stocking stuffer items. Bath Junkie: Get an Early Shopper Special On Stocking Stuffer Saturday at Bath Junkie! From 9AM to Noon, buy 2 get 1 Half Off all items $10 or less. Mix and Match items such as our Bath and Shower Fizzies, Hydrating Body Mists, Sugar Whip Scrubs, Joy in a Jar Bracelets, Linen Mists, World’s Softest Socks and much more! Some restrictions may apply. The Bike Line: Enjoy 20% off all Bontrager merchandise including helmets, apparel, accessories and refreshments while you shop. Carmel Tailoring & Fine Clothier: Buy 1, get 1 free all accessories. Enjoy cookies while you shop! Endeavor Boutique: Coffee, hot coco and cookies, oh my! J.Benzal Menswear: Enjoy 20% discount on all suits and 30% off all accessories and Christmas cookies while you shop. Lantz Collective: Enjoy pear & prosecco cocktails while you shop. 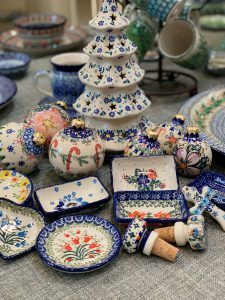 Linden Tree Gifts: Enjoy refreshments while you shop. Oliver’s Twist: Enjoy refreshments while you shop. Out of the Blue Polish Pottery & Gifts: Enjoy refreshments while you shop. Silver Door Boutique Spa: 15% off gift certificate purchases and 10% off all Image Skincare. Enjoy coffee and cookies when you stop in. Uplift Intimate Apparel: Enjoy sweet treats while you shop. Carmel City Center is located at the southwest corner of City Center Drive and Rangeline Road in Carmel, Indiana. Surface parking is available on plaza level (accessible from City Center Drive), in the underground garage (accessible from Rangeline Road) and in the new Veterans Way Garage located to the south of Carmel City Center.